Oh, hey, look at that cover. Doesn’t it look familiar? I love it (I know, whispers the comic). Star Wars Legacy #11 continues what has become my all-time favorite Star Wars comic series. The action, the adventure, the daring, the fights, the friends, the snark, and the intrigue are just spot-on. The art is lovely, as I’ve mentioned before, and particularly so in this issue, filled with dark shadows and interesting tableaus. 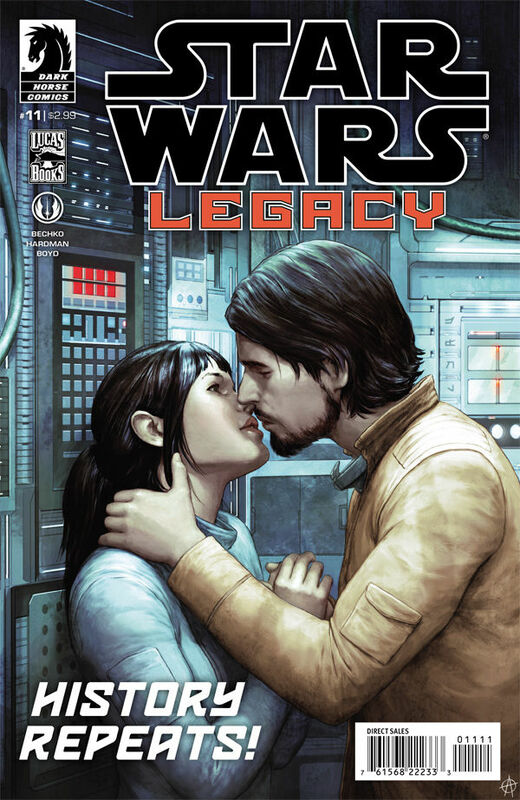 As I keep saying: do yourself a favor and get on board with Star Wars: Legacy!